Lock in a great price for Nay Palad Hideaway – rated 9.9 by recent guests! This is the nicest, most tasteful, friendliest and most awesome place we ever stayed at. 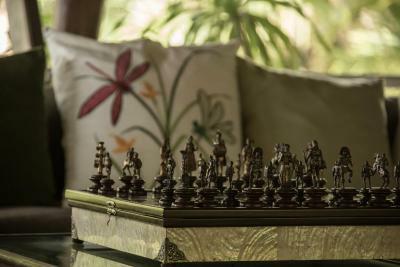 The attention to detail at Nay Palad is unmatched anywhere in the world. From the moment you arrive til the moment you leave, you’re in a special magic land where everything is easy and perfect and nearly limitless. The food, the smiles, the villa...there are no words other than STAY HERE if you can. 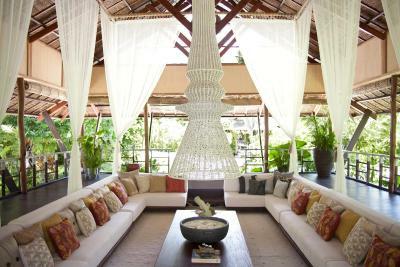 Spacious & seclude resort with personalized service. 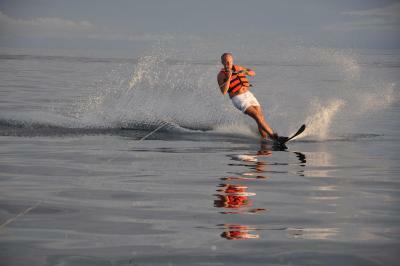 Amazing activities around the resort, totally hassle free. Great surfing, island hoping & caves snorkeling in marine park. 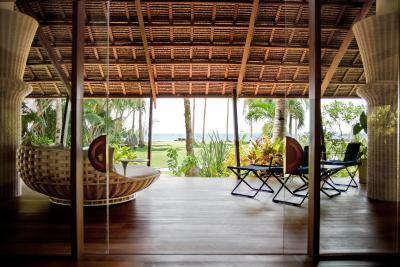 Located in General Luna in the Siargao Island Region, Nay Palad Hideaway offers luxurious accommodations equipped with an outdoor pool and a children's playground. Boasting a terrace with either sea or garden views, the accommodations feature seating areas and an iPad in each room for guests' convenience. The private bathrooms in each unit offers high-pressure shower facilities, bathrobes and toiletries. 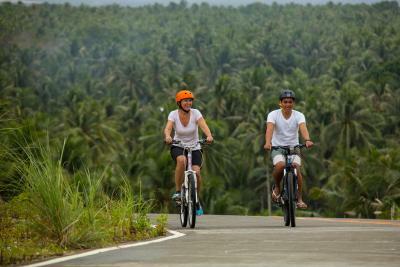 Guests are able to engage in a myriad of activities at Nay Palad Hideaway . 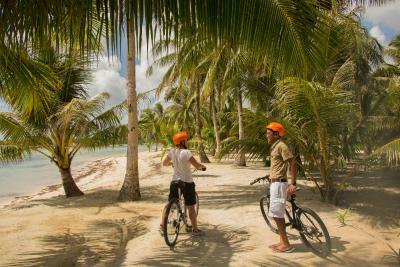 With access to the private beach area, guests can enjoy complimentary sports and activities such as paddle boarding, kayaking, surfing, island hopping and cycling. 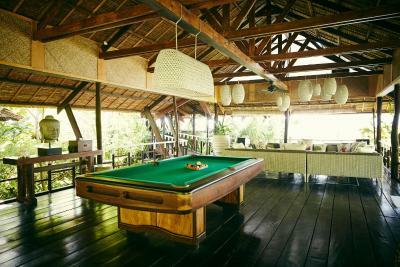 There are also billiards and table tennis facilities, a library, a games room and free massage services. 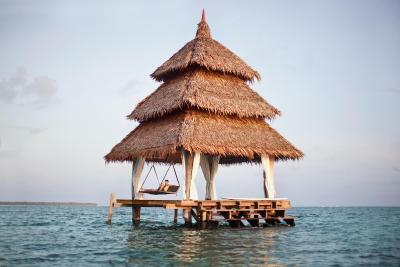 There is an on-site restaurant which offers a special diet menu, and guests can also enjoy meals in the comfort of their rooms with room service. Alternatively, there is also a bar where guests can relax. This property also has one of the top-rated locations in General Luna! Guests are happier about it compared to other properties in the area. This property is also rated for the best value in General Luna! Guests are getting more for their money when compared to other properties in this city. 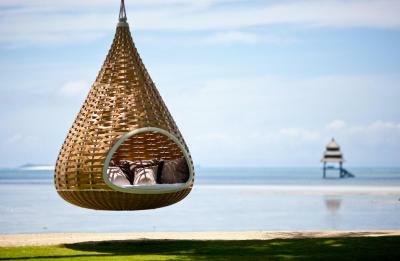 When would you like to stay at Nay Palad Hideaway? Boasting a terrace with sweeping views of the ocean, the deluxe rooms offer air-conditioning and fans, and are each equipped with a safe, closet and iPod for guests' convenience. 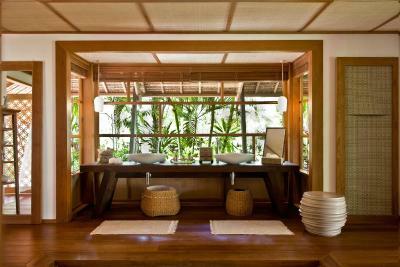 The private bathrooms feature high-pressure showers and toiletries. Boasting a terrace with views of the garden, the deluxe rooms offer air-conditioning and fans, and are each equipped with a safe, closet and iPod for guests' convenience. The private bathrooms feature high-pressure showers and toiletries. Nestled between ancient mangrove forests and the white sands and crystal waters of its own peaceful bay, shaded by groves of coconut trees and scented by the extravagant flowers blooming in its tropical gardens, the DEDON ISLAND resort is a world unto itself, a barefoot oasis,naturally sheltered from the raw tropical wilderness all around. Viewed from above, it has the look of a village existing utside of time, a place where nature, architecture and design come together in exquisite harmony. 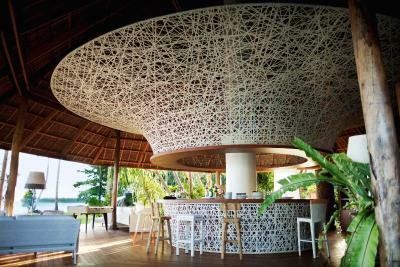 On DEDON ISLAND, you need never open your wallet, never sign for a drink or meal, never so much as think about money. 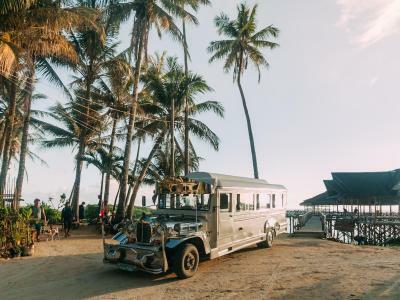 Every massage you indulge in, every excursion you undertake, all the equipment you use — from paddle board to Jeepney to our state-of-the-art amphibious boat,complete with crew —is covered by a single flat rate. 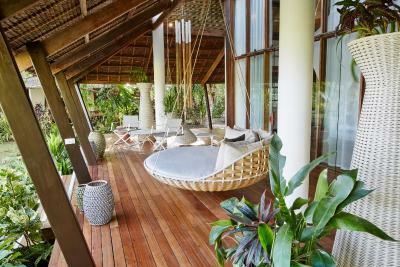 So make yourself at home in your own private paradise. Want to learning cooking with a world class chef? He’s in the kitchen, awaiting you.Feel like picnicking on that secluded desert island? We’ll send a boat right over. Need another massage, even though you just had one? Whatever it takes to get you in a barefoot state of mind! 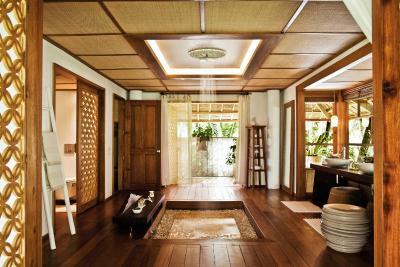 House Rules Nay Palad Hideaway takes special requests – add in the next step! 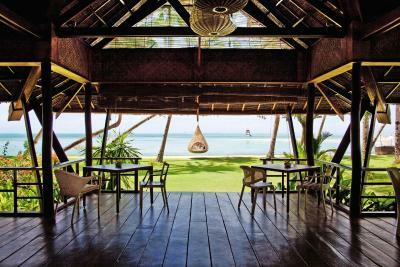 Nay Palad Hideaway accepts these cards and reserves the right to temporarily hold an amount prior to arrival. 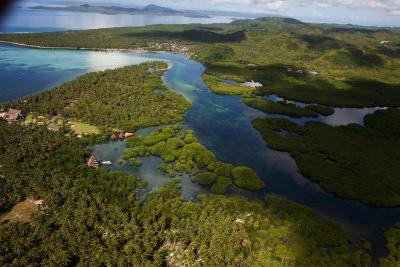 The property offers free airport transfers from Siargao Airport. For more information, guests may contact the property directly with the contact details that can be found on the booking confirmation. Please inform Nay Palad Hideaway of your expected arrival time in advance. You can use the Special Requests box when booking, or contact the property directly using the contact details in your confirmation. Service was second to none. Very nice staff.